If mobile attribution and analytics is your thing, you’ve probably heard of Tune. As the most widely adopted measurement and attribution provider for the top 100 grossing apps in the iOS and Android ecosystem, you’ll actually be hard pressed to find a major brand that doesn’t use it. Tune’s Marketing Console does a phenomenal job of unifying and aggregating mobile marketing and attribution data. However, in the bigger picture of marketing analytics, TUNE is one of just many data sources. So, how do you combine your TUNE data with other data sources, say, Salesforce CRM data? This is where Treasure Data comes in. By bringing in dozens of data sources into a single view, Treasure Data can create custom views, export transformed data into visualization tools like Tableau, Chartio or Looker, or push cleansed data into a data warehouse. 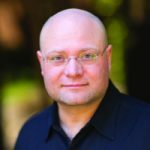 Treasure Data gives you absolute freedom and flexibility to use and customize your data for unique insights or even apply machine learning. 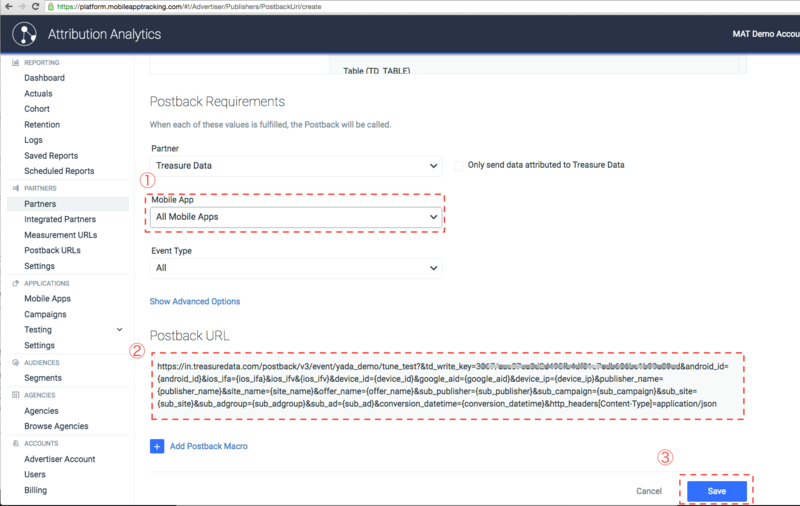 In this blog, we’ll show you how to generate a postback URL to post analytics events to Treasure Data. A Treasure Data account and your Treasure Data Write API key. Go to https://platform.mobileapptracking.com and log in. Go to ‘Settings’ -> ‘Default Postback Events’. Toggle on or off the postback events from your app that you want to be sent to Treasure Data. Next, navigate to the ‘Add Postback URL’ page. Select ‘Integrated Partners’, search for ‘Treasure Data’, select it, select ‘Postbacks’, click ‘Custom’ and finally, click ‘Add Postback Url’. Ensure that ‘Treasure Data’ is selected for the template. Note that you can search partners in the search box above. Table (TD_TABLE): provide a table name in Treasure Data to which you would like to send data. DB (TD_DB): provide a database name in Treasure Data to which you would like to send data. key (TREASURE_WRITEKEY): provide your your Treasure Data Write API key, available from your profile on Treasure Data Console. Check ‘Modify Template’, and your template postback url is shown. You can modify macros in your URLs. See here for an explanation of all possible postback URL macros. As the app sends events, you’ll observe data coming into Treasure Data from Tune. Using Treasure Data Console, you can now use our Hive or Presto SQL engines to gain unique insights. It’s relatively easy to trigger Tune to Postback events to Treasure Data for full service analytics. In fact, you can even use joins from different Treasure Data tables to query events in a way you may not be able to using any other analytics front end. 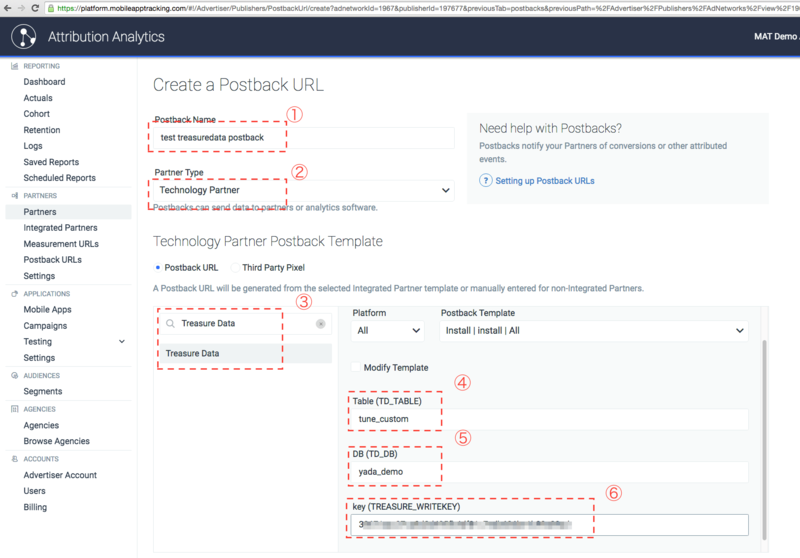 To get more insightful data (and more insight from your data) we recommend exploring all possible postback settings (default and postback-specific) until you get the data you want. Treasure Data can route data from almost any data source to almost any data destination. Sign up for our 14-day trial today or request a demo! Or, reach out to us at sales@treasuredata.com!